Using fabric remnants from DIY Fabric Collage Shoes to create a small bag. For this DIY Project, the pieces are sewn together with a sewing machine. The main materials for this DIY Fashion project were fabric remnants (various sizes) and a lightweight cotton fabric. A zipper, D-ring, lobster clasp, and sewing machine completed the supply list. Read more about this project by visiting DIY Fabric Collage Tetrahedron Bag post. 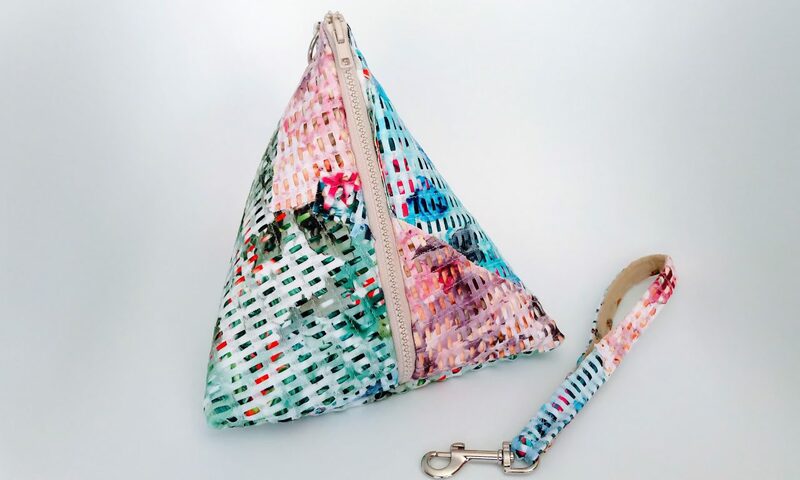 The fabric remnants from DIY Fabric Collage Shoes are made into a tetrahedron bag with strap.